This is the website of the Wyvis Charge Episcopal Churches of St James' Dingwall and St Anne's Strathpeffer. Here you will find information about the churches and activities and details of services and other events. 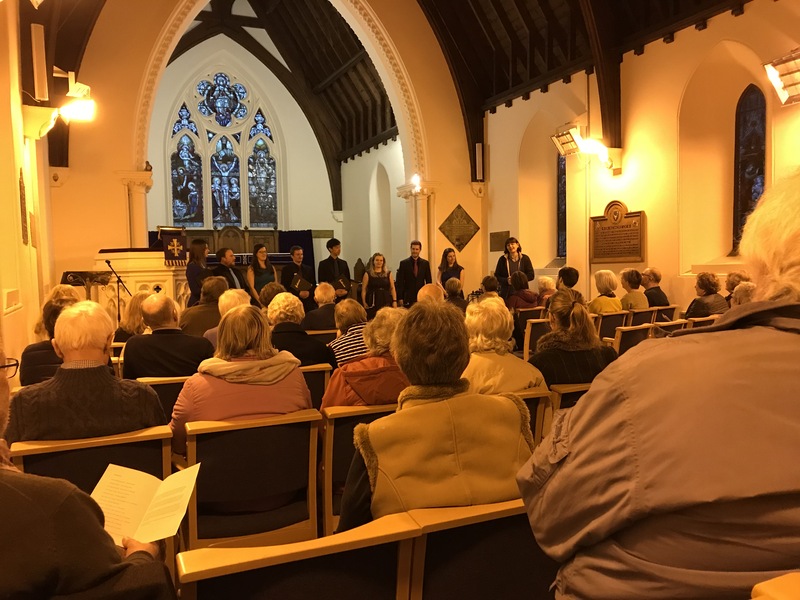 Our next event at St James Dingwall will be on Friday 3rd of May at 7.30pm. Danielle returns to our venue and will be performing songs from stage and screen including operatic arias. As usual entry is free but donations to church funds are appreciated. All welcome for what should be a great evening! On Palm Sunday the morning service will be at St James Dingwall at 10.30am. 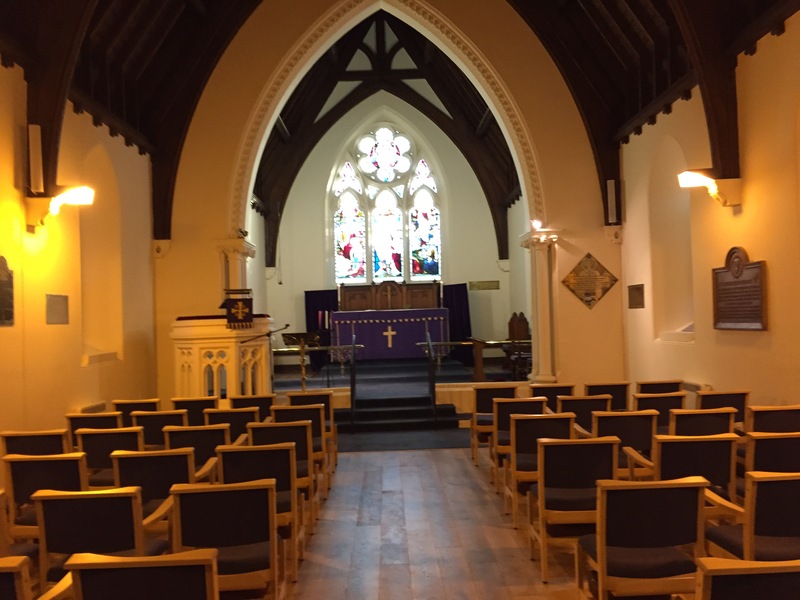 There will be a further early evening service, A Meditation In Words & Music, at St Anne’s Strathpeffer at 6pm. Here are the services for Holy Week & Easter. Also attached is a PDF which you can download and share or print off if you wish. 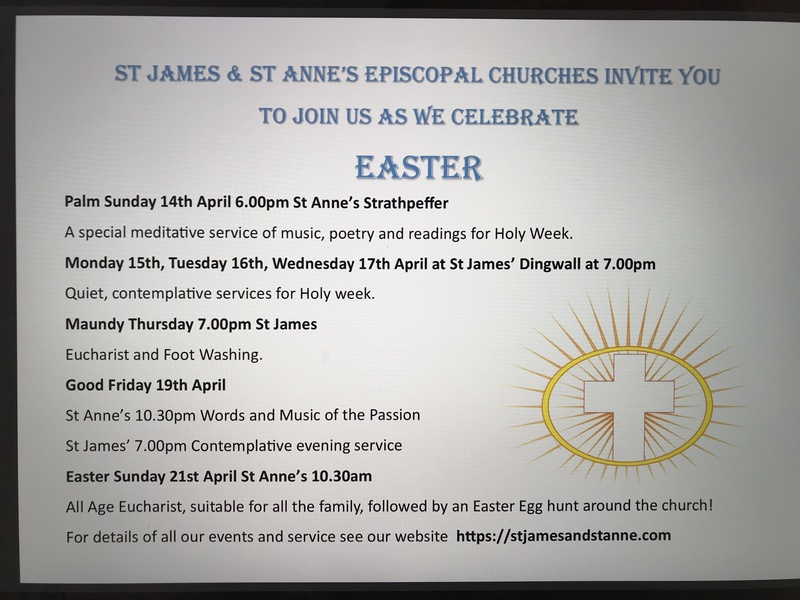 Please note also an invitation from Rev Angus MacRae to join Easter Joint Communion at Dingwall Free Church at 6 pm on 21st April 2019. 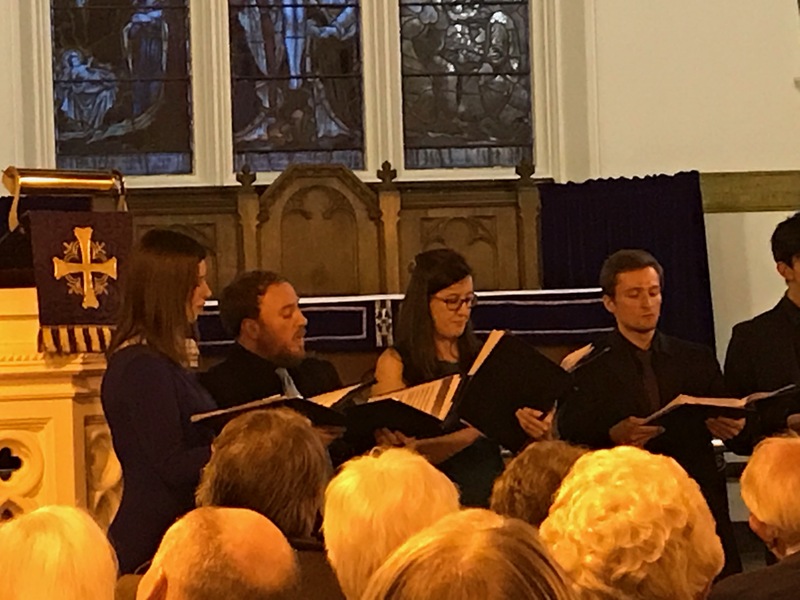 Some photos from tonight’s excellent concert at St James, Dingwall. We are having a pre Easter Big Church Clean at St James’ Dingwall on Saturday 6th April. Many hands make light work so all are welcome to help us spring clean the church and hall. We are starting at 10am. Coffee & cake will be available curtesy of the Revd Julia. 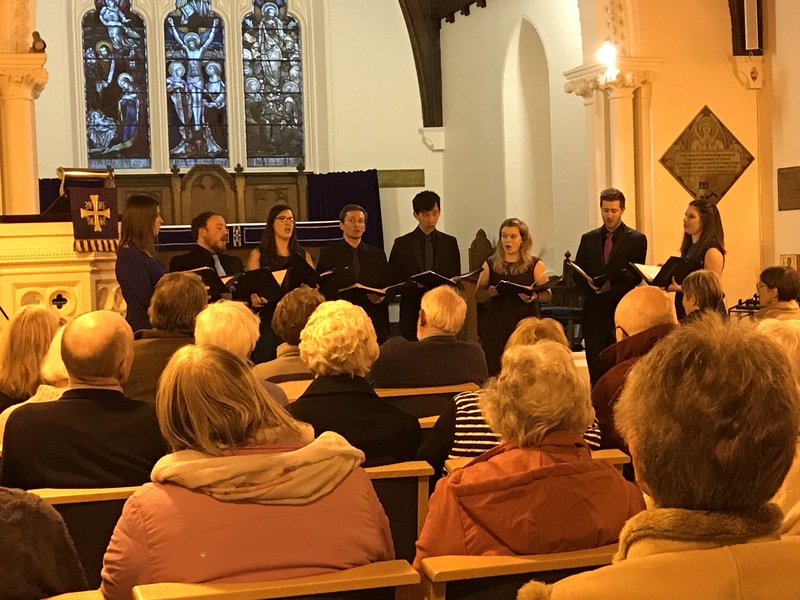 Please find attached the latest Diocesan newsletter with details of services across the diocese and news of other events. Just click on the link below to read. Next week’s Lent course (Thurs 28th March) will be at Mary’s house at Loch Ussie. Then we return to Kinellan for the final sessions. If you need directions for any venue please email wyvischarge@gmail.com for directions. We have updated our website domain name to stjamesandstanne.com and will be making a few more changes over the next few weeks. Changing the domain means that you will no longer be subject to unwanted advertising on our site. Please bear with us while we work to improve our site further. If you have bookmarked our site on your phone, tablet or computer you may want to check that the link still works. We’d hate you to miss any information! & here is the poster for the Octavoce concert. 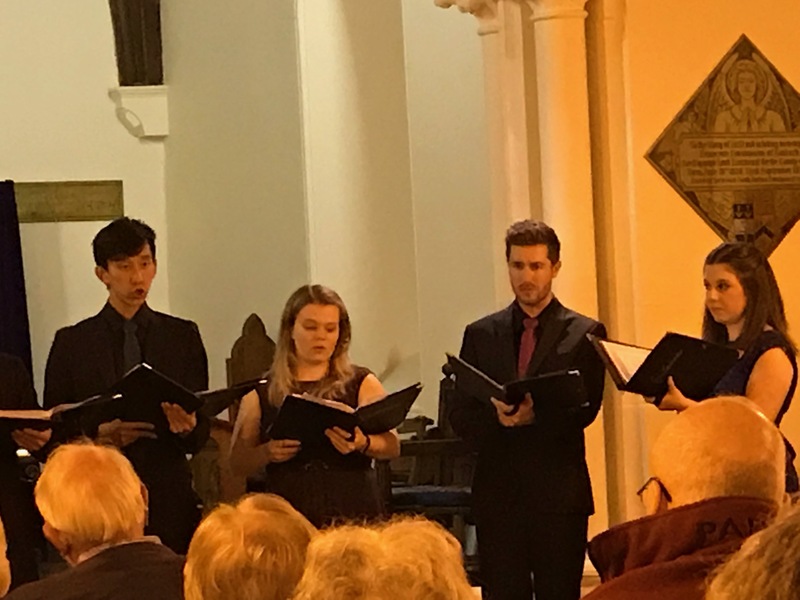 We are hearing really positive comments about this group and hope that as many people as possible will come to hear them at St James.